In my dissertation, the focus is on how loneliness among older people is constructed in Swedish news-press. There are several motives for this study. As outlined above, the way we talk about the issue of loneliness can influence social and individual perceptions. For example, a plethora of studies have found that mass media constructions have a major impact on how older people are treated in society (Fealy et al, 2012) and how older people evaluate their own life situation (Levy, 2003; Pikhartova et al. 2016). Previous research has, however, only to a minor extent, addressed the specific topic of how loneliness among older people is constructed in mass media. What is thus missing is research which highlights how the issue is constructed within the public sphere of mass media. Studies with this focus may provide knowledge on why loneliness among older people is discussed, understood and treated in certain ways. Furthermore, there is a need for research that goes beyond stable definitions of loneliness and rather examines how the issue is constructed and given meaning. In my first study of the dissertation, the aim was to examine how loneliness among older people is constructed in the Swedish news-press and whether there is a prevailing “loneliness discourse” in this context. My material consisted of 94 articles from the Swedish news-press from 2013-2014. These specific years were chosen since loneliness has become a more present subject in Swedish society during these years. The database Retriever was used, which gathers all printed articles from the Swedish news-press, journals, magazines and business press from 1983 onwards. The search word used was “äldres ensamhet”, which is the most commonly used Swedish term to describe loneliness among older people. 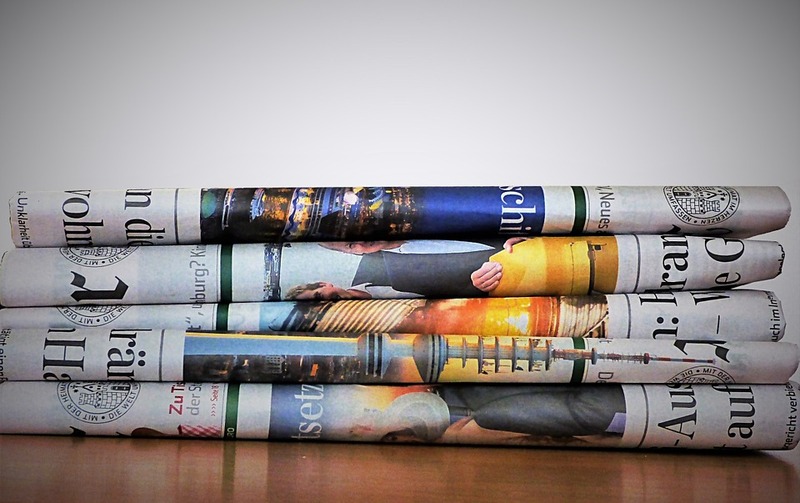 All types of articles (news-articles, editorials, debate-articles, reportages/reports and chronicles) and all types of newspapers were included in order to provide an overall picture of how loneliness among older people is constructed in Swedish news-press today. In this work, I employed Laclau and Mouffe’s (2001) perspective on discourse theory, which recognizes continuous efforts to fix meaning within a certain domain in society. Three concepts are central to this approach: “elements” which are signs that has not had its meaning fixated, “moments” signs with fixated meaning, and “nodal points” a privileged sign that other signs are organized around and given meaning in relation to (Laclau & Mouffe, 2001, 105-106, 111-112). In this study I have acknowledged the logics (Altheide and Snow, 1979) and contexts of mass media (Thompson, 2000), which are aspects considered to influence how events and phenomenon are interpreted and presented within the media. The main, and perhaps somewhat surprising, finding was that the articles do not focus on loneliness. Instead, discourses focused on eldercare, politics and the welfare state, volunteer work and health among older people. Loneliness was primarily used as a concept to motivate the need for political change and the allocation of resources for older people, to enhance the values of volunteer work and to emphasize the risks associated with ageing. Thus, although not used as a concept in its own right, loneliness was given meaning in relation to other concepts. The understanding of loneliness among older people as a problem that needs to be solved was withstanding throughout the material. What became clear through the analysis was that while there are intense debates on loneliness within the Swedish news-press, this coverage does not necessarily mean that the articles provide more knowledge on the issue. Although many of the articles are seemingly written with the best of intentions there is a risk that they further contribute to the portrayal of loneliness as a dangerous and/or inevitable part of later life. In sum, my first research study of my dissertation highlights the need for further research exploring how societal norms and the way in which we talk about loneliness in different societal contexts may contribute to particular constructions of the issue. Reference to the study: Agren, A. (2017). “What are we talking about? Constructions of loneliness among older people in the Swedish news-press”, Journal of Aging Studies, 41, 18-27. Altheide, D. L., Snow, R. P. (1979). Media Logic. London: Sage. Fealy, G., Mcnamara, M., Pearl Treacy, M., Lyons, I. (2015). “Constructing ageing and age identities: a case study of newspaper discourses”, Ageing & Society, 32, 85–102. comparative perspective”, Journal of Cross-Cultural Gerontology, 2 (3), 257–275. Laclau, E., Mouffe, C. (2001). Hegemony and socialist strategy – Towards a Radical Democratic politics. Second edition. London: Verso. Levy B. R. (2003). “Mind Matters: Cognitive and Physical Effects of Aging Self-Stereotypes”. Journal of Gerontology: Psychological sciences, 58B (4), 203–211. Pikhartova, J., Bowling, A., Victor, C. (2016). “Is loneliness in later life a self-fulfilling prophecy?”, Aging & Mental Health, 20 (5), 543-549. Schirmer, W. & Michailakis, D. (2015). “The lost Gemeinschaft: How people working with the elderly explain loneliness”, Journal of Ageing Studies. 33: pp. 1–10. Thompson, J. B. (2000). The media and modernity – A social theory of the media. Cambridge: Polity Press. Uotila, H., Lumme-Sandt, K., Saarenheimo, M. (2010). ”Lonely older people as a problem in society – construction in Finnish media”, International Journal of Ageing and Later Life, 5 (2), 103-130. The principles for exclusion were; duplicates, articles mentioning äldre and ensamhet in separate parts of the articles not referring in any way to loneliness and older people, and calendar event announcements.